This article describes how the internet has come to play a central role in terrorist financing endeavours. Online channels allow terrorist financiers to network with like-minded individuals, in order to increase support, raise funds, and move wealth across the international system. For instance, the Islamic State, Hezbollah, and other groups have become adept at using these channels to finance their activities. Therefore, increased examination is required of the ways in which terrorists use the internet to raise and move funds. This study assesses some of the current trends and risks associated with online terrorist financing. Some policy options are also outlined, in order to reduce the threat of terrorist financing via the internet moving into the future. As mentioned, terrorists’ use of the internet has become a major concern for security officials across the world in recent years. Like many other users, terrorists have found that the internet is an invaluable tool to share information quickly, in order to disseminate ideas and link up with like-minded individuals (Jacobson, 2010; Okolie-Osemene & Okoh, 2015). In this manner, terrorists use the internet for a variety of purposes, including recruitment, propaganda, and financing. As scholars have also noted, the internet is an attractive option for extremists due to the security and anonymity it provides (Jacobson, 2010). 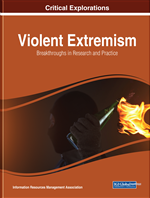 Yet while there have been a growing number of studies completed on the ways in which terrorist organizations use the internet to recruit and indoctrinate others, there has been relatively little focus on the methods by which terrorists finance themselves through online activities. Some researchers have attempted to fill gaps in this area by broadly studying internet aspects of terrorism financing. However, research on this particular aspect of terrorism financing still appears to be lacking, with little focus on new methods of terrorist financing via the internet or a marrying of strategies to combat online financing trends available to practitioners in the field.